Happy February friends! 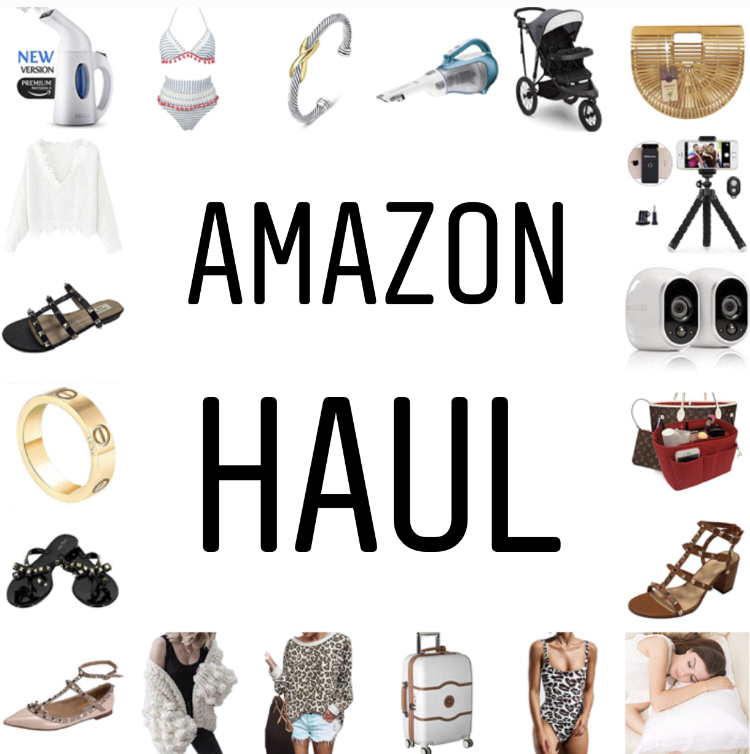 I am excited to share my fave Amazon finds with y’all! So many fun things from home…kids items all the way to spring & summer must haves. Also, I’m sharing my fave dupe options since so many of y’all wanted to see more. You’ve seen the NutriBullet several times on my IG stories & this has been the best blender to make my smoothies. For being 600 watts, it’s surprisingly powerful. This is also a great blender if you have a baby and are looking to puree your food. Bamboo bags are the bag of the spring and summer months!!! This is a great Cult Gaia dupe. These are my top bamboo bag faves HERE & HERE! Valentino Rockstud Pointy Flat dupe shoes are so good I bought them in the black and white color options It runs small so size up. Also, there is the Valentino strappy rockstud’s dupe shoes could possibly be my fave. These shoes are the piece that makes any basic outfit instantly chic. These are the sandals version HERE, HERE & HERE. The Gucci dupe belt that most of y’all have snagged is a must and such a perfect dupe. I have the black and the brown. A little secret is you can flip the belt to the tan side for another option to wear it. I’m inlove with this gorgeous and affordable pompom kini. It’s under $30 and the high waist is so flattering. Size reference, I sized up 1 size. The leopard one piece swimmy is so cute and trendy this season! The coverage is good and not too revealing. Size reference, I sized up 1 size in this swimmy. Louis Vuitton Neverfull purse organizer insert. This is a must to help shape your Neverfull purse & help keep you organized. It has multiple compartments to put all your items. Get the extra large if you have the Louis Vuitton GM and the large or medium if you have the Louis Vuitton MM. If you get the medium for the MM, there will be extra space in the purse. Over 4,000+ reviews speak for this silk pillow case. This affordable silk pillow case is a must have! Just incase you are wondering what is so great about a silk pillow case…a silk pillow cases can reduce bedhead & split ends, help with wrinkles and can help your skin retain moisture. The cross cable bracelet is the perfect David Yurman dupe. It can get smaller if you have a smaller wrist and get bigger. These are the other bracelets I think make the perfect set HERE & HERE! Delsey Hard Case Luggage has been the best luggage I’ve had to date. The hard shell is the one to get over the soft shell. I have both and the soft shell ended up with marks on the luggage after using it once. After 2 years, the hard shell I have still has not stains or any issues & I’ve traveled in the majority of my trips. It’s spacious, stylish and functional. There is a lock built in and it can spin in all directions. The Jeep Stroller is not only durable, but has lasted me 7 years and 2 kids. I had 2 strollers and this jeep stroller is the one I worked out and run in. Surprisingly it has turned into the best investment. I currently still use it when I know the kiddos will be walking a lot like at a festival or amusement park. Arlo Home Security System is SO good! It’s a surveillance camera that you can watch in real time whats going on. There is no monthly fee and the camera saves to the cloud 7 days of video. It’s motion censored and will alert you on your phone if there is any activity. Over 15,000 positive review speak volumes for this dust buster. It’s cordless, easy to use, has good suction and a great battery life. And I have to mention it picks up animal hair SO good! Plaid is on trend EVEN in home accessories. This plaid runner is perfect piece to layer with a fun mat on top of it. I have this mats layered with the runner HERE! If you have a little girl in ballet or gymnastics, this affordable leotard turned out better than expected. The leotard is thick and has lasted over a year without ripping or any holes. Under $15 FTW!!! Thanks for sharing the dupes! You find the best dupes! Love finding good Amazon deals! Thank you, for sharing. You’re the best! Love your style! Love, love love this amazon blog! I need to book mark it and buy EVERYTHING.